Thierry Neuville and Hyundai Shell World Rally team looked set to claim their first ever podium after just 2 disastrous events for the new team. However, on the way back to the service park after the final stage of the rally. Neuville’s i20 broke down on the road section. The car was overheating. It had a damaged radiator and was loosing coolant. There was no water or rivers around to top it up, and no outside assistance allowed to help them fix it. It seemed then that after one of the roughest rallies which Neuville fought through to get that well deserved 3rd place for his new team would end in heartbreak. 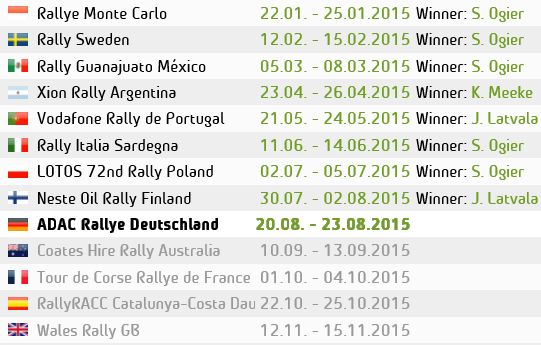 The final stage that they completed was the rallies power stage. At the very end of the rally stage the events sponsors handed out their products to the top three drivers. Partly for advertising of course, but also as a reward for their results on a very tough Rally Mexico. Luckily for Neuville & Co, the Sponsor for rally Mexico were Beer company Corona. After some ‘out of the box’ thinking, Neuville & his co-driver got the bottle of beer they were given by the sponsors, and poured it into the radiator of the Hyundai, using it as coolant in hope that it would be enough to get the car back to service which was over 40km away. Sure enough, it worked. And despite having to stop when it began over heating again and having to feed the Hyundai more beer, they made it to the end. I’ve always said a Rally isn’t over till its over. But Hyundai and the team were certainly glad when this rally was over. The crowds of media gathered around, waiting for his return. There was a lot of tension during that final road section. 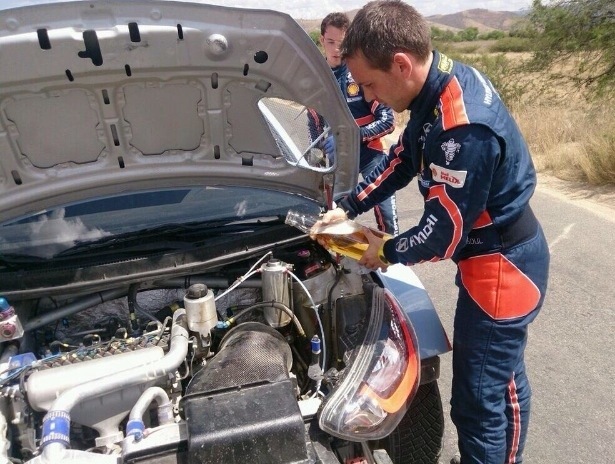 But thanks to corona, rally Mexico’s sponsors, Hyundai achieved a great result. Neuville may not drink and drive, but his i20 certainly did. Alcohol really can be the solution to some of life’s problems. Think we all know what Hyundai will be drinking tonight at the after party.